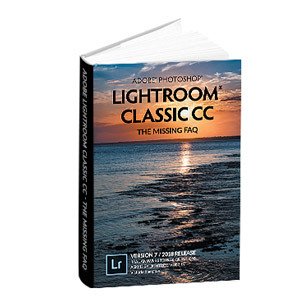 What's New in this Lightroom Release > Lightroom CC iOS/Android Updates > What’s new in Lightroom mobile iOS 2.4 and Android 2.1? 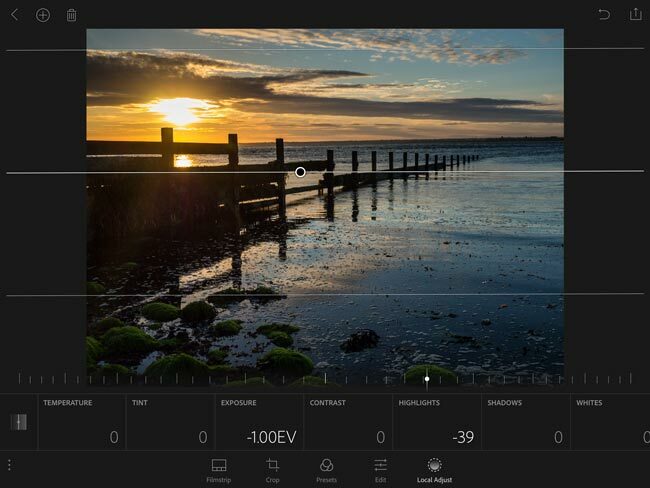 Lightroom mobile 2.4 for iOS has just gone live and this is a BIG update. It includes full raw support and local adjustments! The Android version is still lagging a little behind, but there are some improvements to the built-in camera in the 2.1 update, also released today. Many of us have dreamed of being able to go on vacation without lugging a heavy laptop, but until now, Lightroom mobile iOS could only import rendered files (JPEG/PNG/TIFF). There were workarounds. You could shoot raw+JPEG and use the Syncomatic plug-in to sync the settings from the JPEGs to the raw files upon your return. 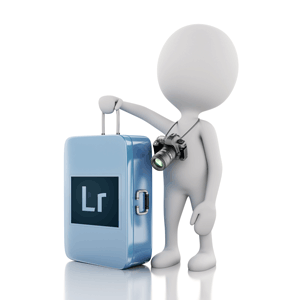 Or you could use the recently end-of-lifed Photosmith app and Lightroom Publish Services plug-in. But the workarounds felt like workarounds – nothing was smooth. 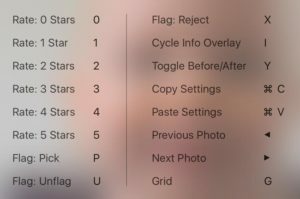 With the release of Lightroom mobile 2.4 for iOS, things have changed. It can now import and edit raw files from all of the supported cameras. So does Lightroom on the iPad now make a useable vacation workflow? Last week, I took a trip to the Isle of Wight, leaving my laptop at home. All in the name of Lightroom mobile testing, of course! The conclusion… it works! First, you must upload the raw files from the memory card (e.g. using an Apple memory card adaptor) into the iOS Photos app, and then you can add them to Lightroom mobile. Once they’re in Lightroom mobile, you can remove them from the Photos app to free up space. In Lightroom mobile, you can view the photos, organize them into collections, add star ratings and flags, edit them, and share them with friends and family. When you have an internet connection, Lightroom starts uploading the originals to the cloud, ready to download to your computer on your return home. 1. You either need an iPad with large enough storage space to hold all of the photos you shoot on vacation, and a fast upload speed when you return home. 2. You need an internet connection at your destination with a fast upload speed and unlimited bandwidth, which would allow you to upload the original photos to the cloud, and then clear the cache to recover space on your iPad. Sadly this seems to be hard to come by in most hotels, but leaving the iPad awake and uploading overnight may be adequate if your files are small. I’ve detailed the workflow in my Lightroom mobile book, and I’m just putting the finishing touches to the Android app changes, so the update will be available to download tomorrow is available now. The other big news in this update is the addition of the Linear and Radial Selections (aka Graduated Filter and Radial Filter on the desktop). As well as adjusting existing gradients applied on the desktop, you can also create new ones. These are useful for off-center vignettes and darkening skies, among other things. Although the Android app doesn’t get full raw import (DNG/RW2 only) or local adjustments in this update, it does have some improvements to the built-in camera, offering manual control, and a new widget to make it easy to access the camera. Saving and sharing images now uses the full resolution file if it’s available on the server, for example, if uploaded through Lightroom mobile or Lightroom Web (not desktop). I have been waiting for the ability to edit metadata since Lr Mobile’s first release. It is like waiting for improvements in the book module. I see the mobile options improving over time, but I have no plans to edit raw or jpg on a mobile device until these devices have a proper files system and colour calibration is native to the mobile o/s. I do not want to be porting large volume of raw data to the cloud and back. Introducing RAW support on mobile devices (it WILL come to Android, won’t it…?) is a good step that should offer more flexibility when out in the field. But… but… this could be SO much more useful if I could add basic metadata at the same time. If I am going to load my RAW files to LR Mobile when on the road then that is the time I want to apply basic metadata to the images such as tags or titles. We are working on it, sorry it’s taken so long! This is great. I have literally been waiting for years for this workflow. The only thing that would have been better is if the update released just before the two trips I took rather than just after. That’s my luck! 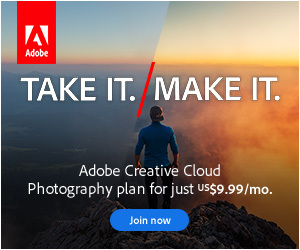 I’m so glad Adobe was able to put this out. I was just about to buy a MacBook since I only shoot in RAW and the workarounds on an iPad were too cumbersome. Now I’m re-thinking that notion and considering the iPad Pro. I was in the exact same position, bought an iPad Pro and am very happy with what they have. I think there are gonna be some cool possibilities for uncomplicated edits on the road. I was really happy to see the changes also reflect on the desktop version too. As far as I know, only the list I posted here: Whats missing in Android? There seems to be a quirk in the Android version: when you enable a collection for auto-add, it doesn’t pick up photos taken with the Lrm camera. Also, although my HTC One M9 can take RAW (DNG format) photos with its built-in app, the Lrm camera still only takes JPGs as far as I can see. There was originally the same quirk (auto add collection) in the iOS version, so hopefully it’s on their radar, but report it at the Official Feature Request/Bug Report Forum at http://feedback.photoshop.com/photoshop_family to be on the safe side. Is there a way to download compact flash cards? I see the Apple device is for SDHC and can’t find anything else that seems to work. Yes, they do a USB one, to which you can connect your camera. http://amzn.to/29PUEns It won’t work with most card readers because they draw too much power, but cameras work. When the new Save/Share dialogue asks what size to use, “Small (2k) or Maximum” — what does that mean? Is it saying that selecting Small the file being shared will be a 2k-sized file (which isn’t small for posting on the web) and if Maximum is used it will be the full resolution? Yes, the 2k file is up to 2560px – the size of a smart preview. Maximum uses the full resolution original if it’s available in the cloud. So there isn’t much difference other than if I wanted to save room on my iPad, I should choose the “small” version, correct? I want to share my pictures with people and web sites, I want to make sure the photos I edit look the exact same when I save them to my iPad camera roll after editing. Yes, 2560px would be plenty for most sharing. It’s usually only if you want to pass the file to other edits (e.g. the Photoshop apps) that you might want the full res. Can you only import RAW files via the lightning adapter using the ipad photo import function or can you do so if your camera has wifi using the app such as from Nikon? You can import any photos from the camera roll, so you long as the Nikon app saves the photos to the camera roll, you’re good to go. A 3rd option for storage on the go with an iPad. Upload to a wireless hard drive (or 2 of you are insecure). They are very affordable, high capacity and not much bigger than a USB portable drive. That’s a good idea Tony. It lacks the editing options, of course, but would make a great backup plan. you write that you need the Apple Memory Card Adapter to get the photos onto the iPad. The problem I (and I guess most (semi-) professional photographers have is that they shoot on CF card. I googled for a Lightning CF card readers until my fingers bled but nada. Do you have a good idea? Apple do a Lightning to USB. You can’t plug in a normal USB card reader (lack of power) but you can use it to connect the camera itself. This is all great but involves so much uploading and downloading of data. Is there a plan in the pipeline where you can come back from a trip, plug iPad into laptop or desktop and sync across using the cable? I would hope for a LAN sync at some point, if not a wired one, but no ETA. hello,blending modes are not in lightroom android version why!!!!!! You mean the local adjustments? The Android version lags a few months behind the iOS version, because they develop on a single platform first and then port over to the other platform.